Winmate's IK70SB7-111 is a compact embedded Box PC. Designed for a wide variety of industrial automation or machine-to-machine applications, the device measures a modest 10.39 x 7.5 inches and stands 2.2 inches tall. For the IK70SB7-111 Box PC, Winmate selected the Intel 6th Generation Core i3/i5/i7 Processor. 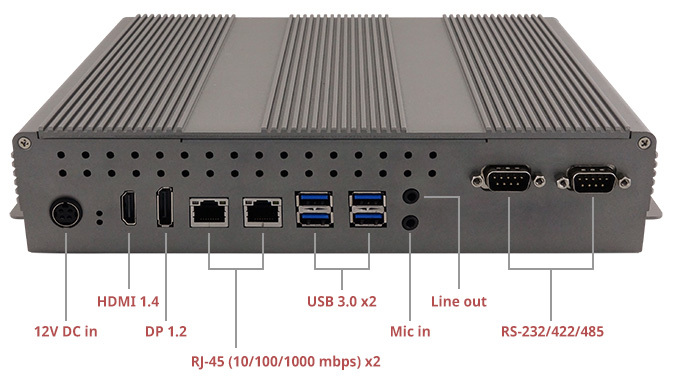 This purpose-designed IPC has, four USB 3.0 and two RS232/422/485. In addition, users get, two gigabit RJ45 LAN ports, DP1.2 and HDMI 1.4. 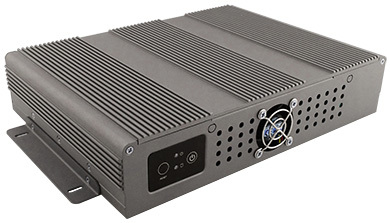 The IK70SB7-111 is actually part of a whole series of small, boxy industrial embedded PCs Winmate has been introducing over time. All are designed for specific industrial applications that require the most compact size possible, exemplary durability, superior reliability, and just the right level of performance for the job. That job may be in manufacturing, industrial automation, medical projects, semiconductor, food processing, machine control, and other scenarios where regular desktop and notebook computers just aren't feasible, or wouldn't last. These compact industrial PCs, on the other hand, are built to work in extreme heat and cold.